Don’t look, I’m changing my positioning! Weird! Some people don’t think of themselves as a ‘brand’… but really we are talking of ‘brand positioning’. While I have been setting up Power of Words for business copywriting and content marketing, I did a lot of SWOT research on what my service should do and what level I should play at. It would be great to write the stories of emerging technology brands, for sure. Sometimes though, the level we play at is dictated by the people we can reach. It makes sense to align with what people in your circles are looking for… this often comes down to your own content, pitches, and talks. I’ve found, people in my circles are not often looking for ‘executive level’ info; far more often, they are looking for how to make their night-time freelance, blog, or ecommerce business a success. Sharing some useful techniques in their area of desire will thus be far more effective than shooting straight for the top (corporation level) when it comes to brand positioning. What do you post on social media – is it planned? Are you reading thought leader articles and doing short courses to keep pace with change? Are you thinking how your business or publications can adapt and squeeze some juice out of the problems you see in your niche? Content such as this can help with creating a ‘new look’ you. 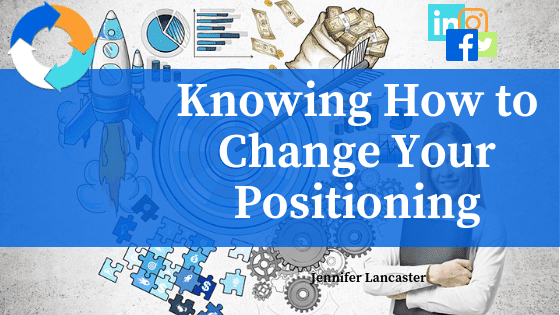 Other tips to change your personal brand positioning. Tweak your LinkedIn profile, add some better subject areas people can endorse, add your “Publications”, put in a unique background image, and do searches through 2nd connections for key people who are writing or speaking in your industry (or complementary area). Only recently have I realised the true power of connecting on LinkedIn. All those events you’ve been to and met people at — did you keep their business card? If it was fairly recent, get the card out and type the name into LinkedIn. Write a friendly greeting to go with the connection request, reminding them where they met you. Then, offer to help by sharing a relevant article, endorsing a skill, offering a referral from a friend, etc. 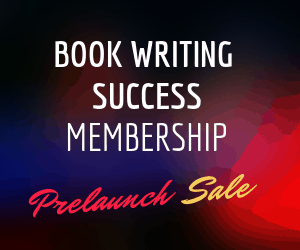 When it comes time to launch your book, imagine how many people you can then turn around and ask to jump on board and pre-read, review, or buy your book at a great price. So much better than just paying for book ads, and hoping and praying. Because people do business with (and buy books from) people they like, ensure that when you change up your brand positioning, you bring people closer to you. That means being real. Think Michael Hyatt and his immensely popular blog and videos. Does he talk to you like a real person? Yes. Does he stand for something? Yes, he stands for offering useful tips for authors. Not shouting from the rooftops the name of his last book.